The CGIAR Trust Fund is a multi-Funder, multi-year mechanism that delivers financial resources for CGIAR research and key System functions. Our research is aligned with CGIAR’s Strategy and Results Framework which provides overall strategic direction to deliver on our mission and contribute strongly to the United Nation’s Sustainable Development Goals (SDGs). What is the CGIAR Trust Fund dashboard? 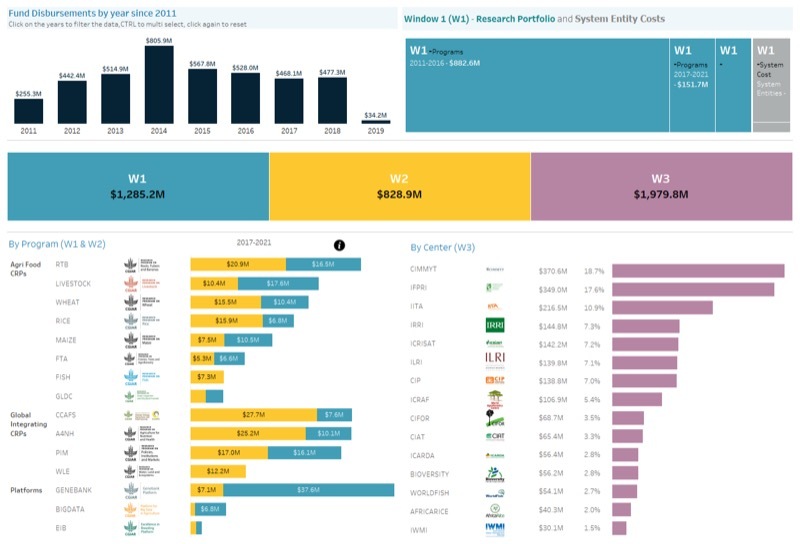 The CGIAR Trust Fund dashboard is a resource which provides a visual overview of contributions to CGIAR by Funders and disbursements made to the Centers and CRP’s since 2011.
Who are the intended users of this dashboard? 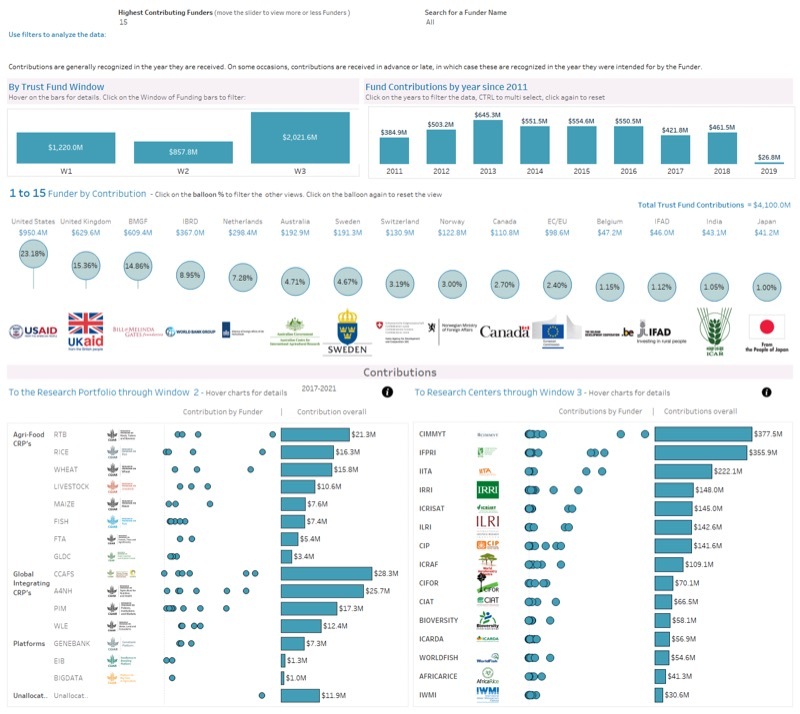 CGIAR’s Funders, our CGIAR Partners, CGIAR Research Centers, CGIAR Research Programs, the CGIAR System Organization, and anyone interested in the overview of CGIAR’s funding flows. If you need further information about this resource, please contact us.